Fitness enthusiast Max Fardan relocated to Dubai seven years ago from his native Uzbekistan when he was 25 after surviving the toughest test in his life — being diagnosed with breast cancer. 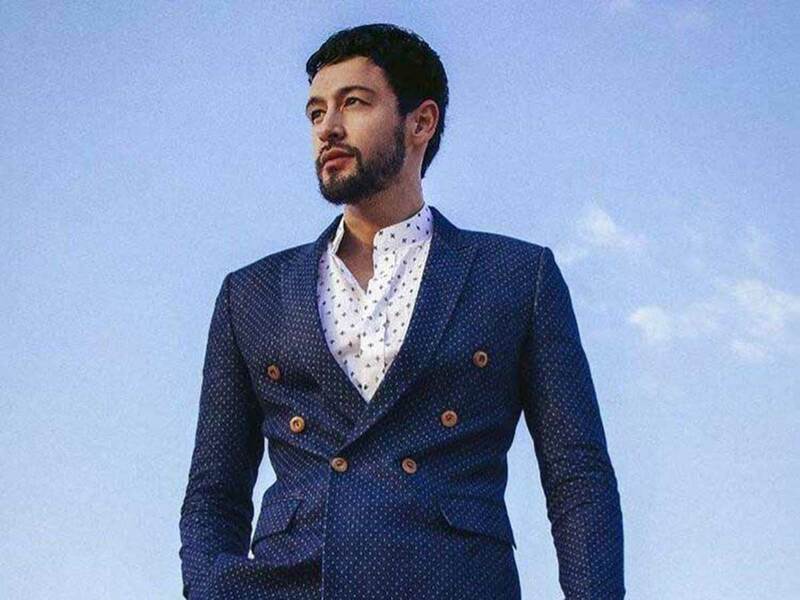 This week, the Dubai-based freelance model finally decided to share his story and offered health tips to the public after seeing countless people take their health for granted. Recalling a painful experience seven years back, Fardan said his cancer was discovered by chance. “I would always go for periodic check-ups because I have a history of epilepsy. I’ve had it since I was five years old. So at the hospital, they told me to go for an MRI as they needed to check something,” Fardan, 31, told Gulf News. Armed with his MRI result, Fardan went back to the doctor. He was told to call his parents in but he refused as both his parents had heart issues and he didn’t want to make them worry. Though commonly affecting women, breast cancer can occur among men as well. It is a very rare condition that represents less than one per cent of all breast cancers, figures from Breastcancer.org show. “Breast cancer develops whether in females or in males because of an imbalance in hormones and oestrogen dominance,” Dr Thanda Lucy Ann Joshua, Specialist — Medical Oncology at Burjeel Hospital Abu Dhabi, told Gulf News. Other risk factors are ageing, family history of breast cancer, inherited gene mutation specifically the BRCA gene 2, radiation exposure, liver disease, obesity, and testicular conditions. The Klinefelter syndrome, a congenital condition that affects about 1 in 1,000 men where a boy is born with two X chromosomes instead of just XY, is also a risk factor. Dr Joshua said getting a breast cancer diagnosis among men is also rare as most men do not expect they can get breast cancer. Even getting them to open up about it is close to impossible due to the lack of awareness about it. “So even if they feel a lump, they won’t come to the doctor for a check-up … probably, men feel embarrassed as they think it’s a taboo subject,” she said. To heal, Fardan changed his ways. He changed his diet and lifestyle and went through two rounds of chemotherapy in Uzbekistan and a mastectomy to remove the malignant tumour in his left breast. Fardan said he moved to Dubai a year later to be in a new environment. He pursued a career in modelling and is sharing his life lessons as well. Start now. No matter how many tips you get, if you don’t start doing them, you won’t change anything. Sleep. People tend to forget the importance of getting enough rest and try to over-work and exhaust our bodies. Sleep is when the body repairs itself. Quit now. If drinking and smoking is your thing, quit now, while you still can. Maintain healthy relationships. As what most people say — you don’t need hundreds of friends, you just need a few who you can really count on. Mental health. Being in tip-top condition means being healthy in mind and body. You should always consider your thinking, mood, behaviour and feelings. Drink up. Drink up and stay hydrated as water helps improve your overall health. Move it. Exercising is equally just as important as eating healthy. Do anything — walk for 20 minutes or jump for five minutes. De-stress. Living a healthy lifestyle is not limited to just being physically fit and active, it also means having a stress-free life as much as you can. Try yoga and meditation as well.